1. April 2015. I do love myself a big old Asian market! 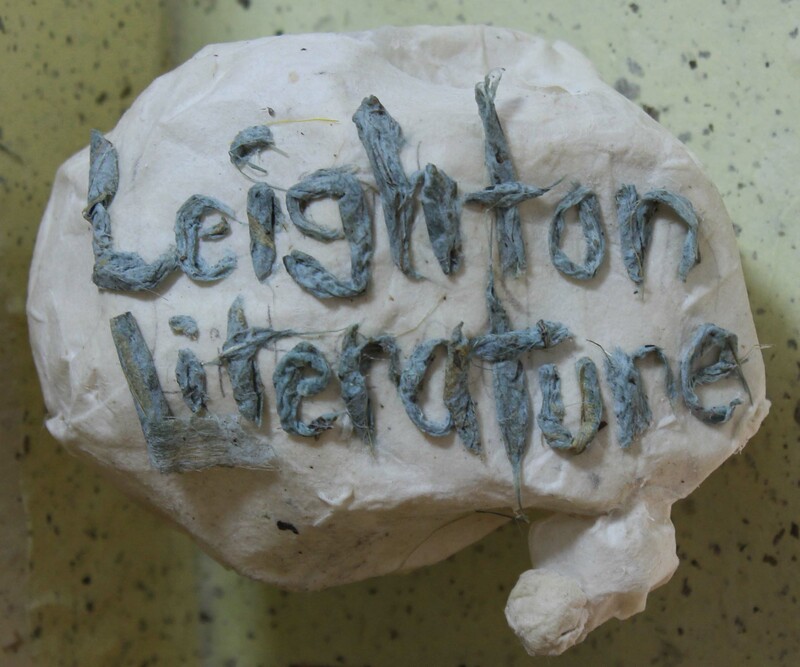 You’ve got the smell of sizzling street food, the unpredictability of the haggling, the vast array of stuff on offer! God only knows I’ve been to my fair share of markets throughout Asia, but I’m not sure I’ve seen a bigger one than Bangkok’s Chatuchak Market. 2. April 2015. 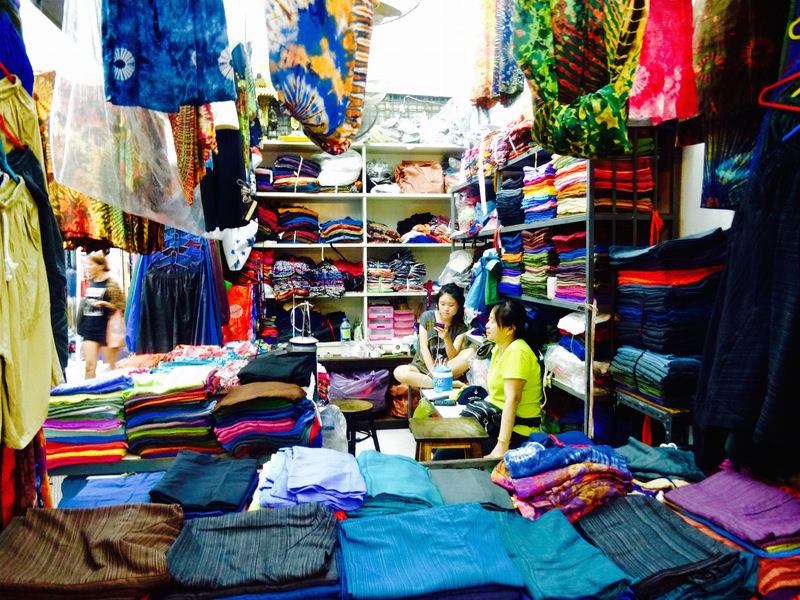 Set across thirty-five acres with eight thousand stalls on offer, it’s said that you can buy virtually anything here. An estimated two hundred thousand people pass through every weekend, so prepare for plenty of elbowing, shoving, knocking and bumping. And maybe give those public toilets a miss! 3. April 2015. 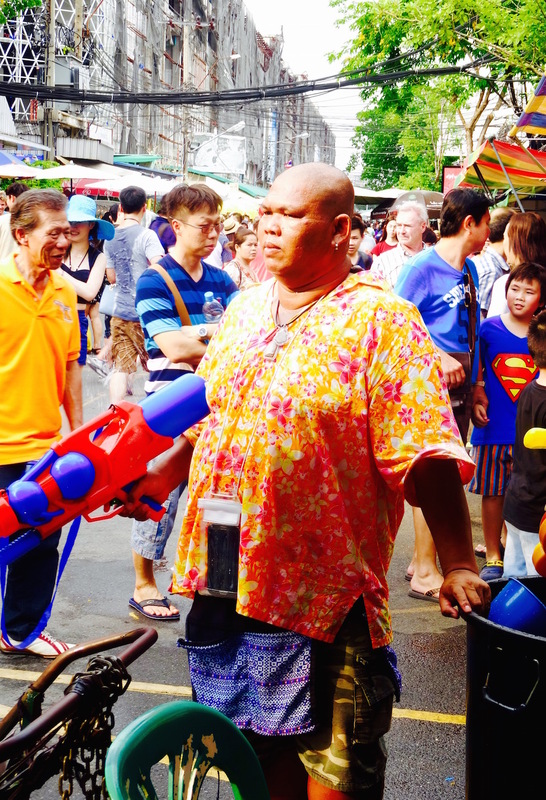 My Chatuchak experience came during Songkran, Thailand’s New Year Festival. The holiday is famous for its water festival, so every other person was armed with a water gun and gleefully opening fire on passers by at will! This was not good news for me, as I had gone to Chatuchak unarmed. Happily though this big guy lent me his gun so that I could defend myself for a bit. 4. April 2015. There are plenty of genuinely interesting stores to be found amid all the identikit shoe shops and jeans stalls. 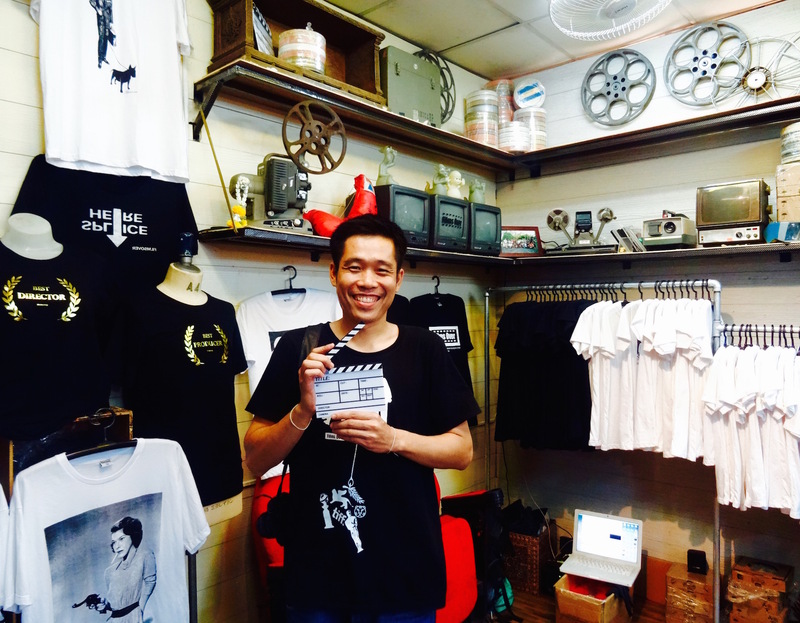 I did a little shopping at this cool T-shirt joint for movie lovers. The place was called Films Over and every customer who bought something was asked to pose for a photograph with the owner’s clapperboard. 5. April 2015. 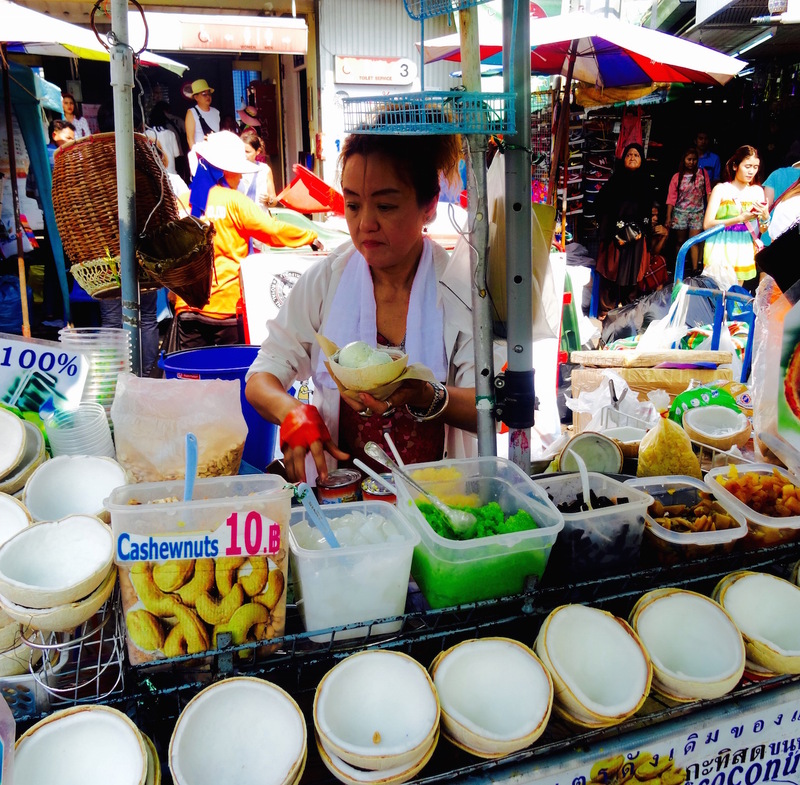 Don’t leave the market without trying some of Chatuchak’s famous coconut ice cream! Deliciously creamy, you also have the option of chopped cashew nuts and sweet sticky rice!